of articles to inspire your cyclists. in your social networks, emails and website. so it is more specific to your club. Or just create your own content. You’re the expert helping cyclists improve their performance and have more fun. 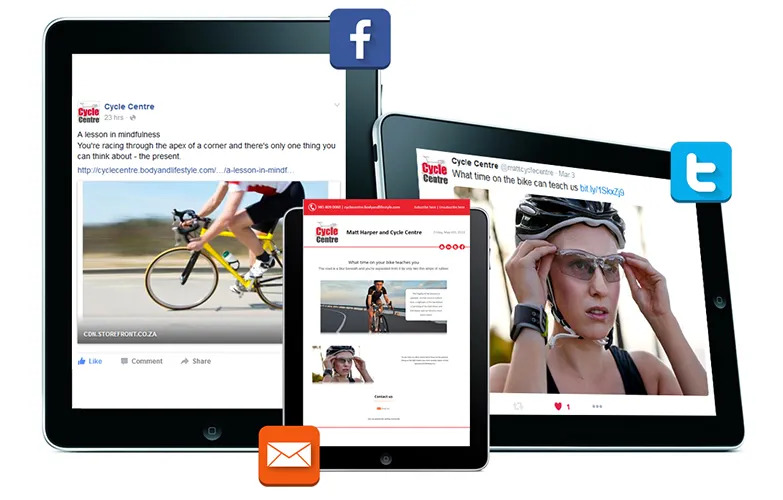 creating world-class content to drive more cyclists to seek out your assistance and services. Speak to us if you want to get more cyclists engaging with you as their trusted expert.